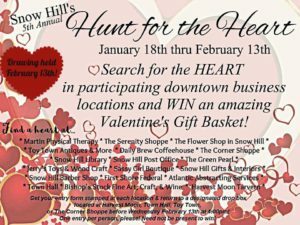 Search for the heart at participating downtown businesses for your chance to win a Valentine’s prize basket filled with items and gift certificates from local Snow Hill businesses! 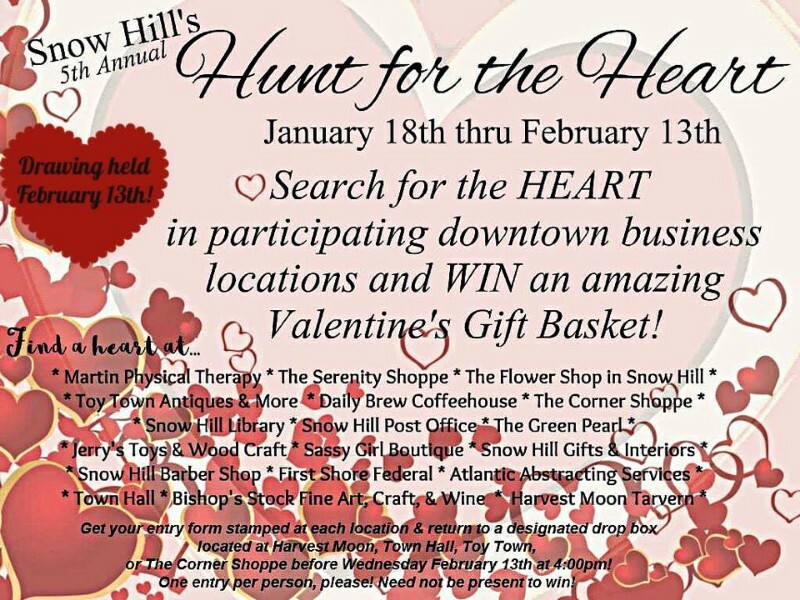 Pick up an entry form at any of the listed business (see flyer), search for the hearts, get your form stamped, and drop off completed forms at one of the drop box locations! Winner announced on February 13th after 4PM! Please SHARE with your friends! Get your family involved! The prize is AMAZING! Good LUCK!